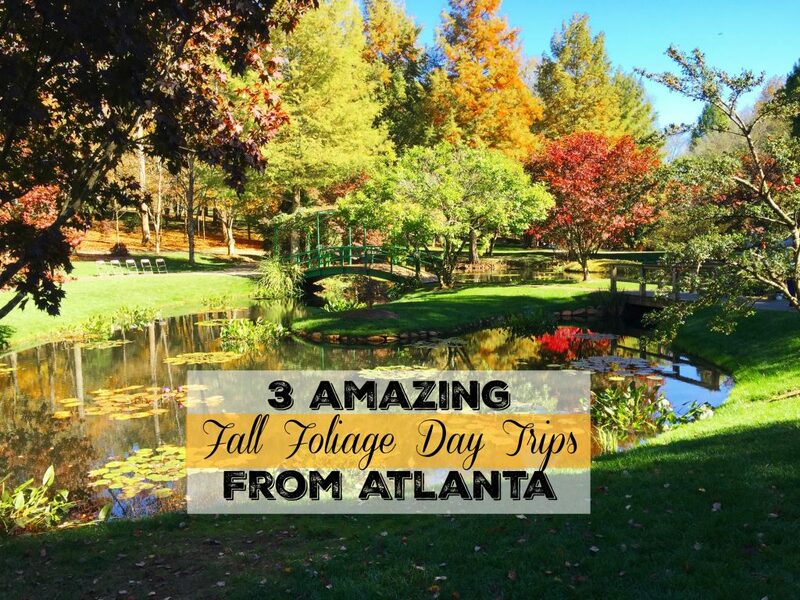 We're sharing 3 Amazing Fall Day Trips From Atlanta! 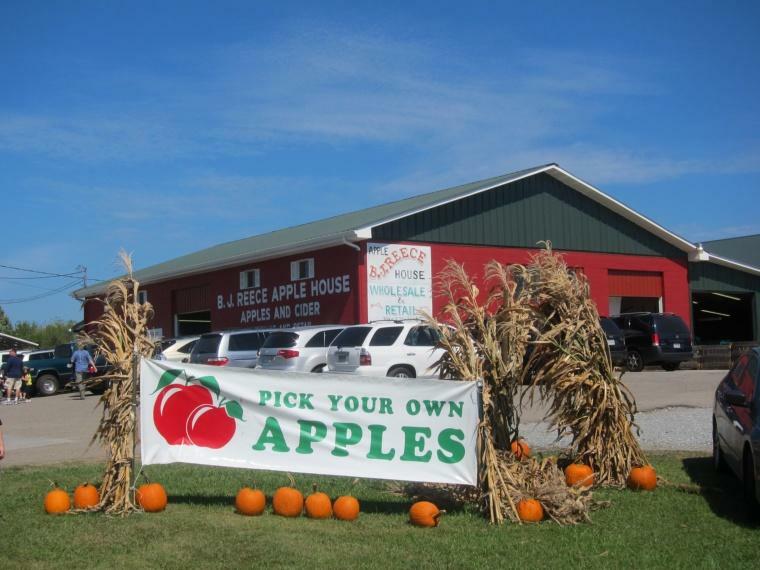 Apple picking to hayrides, gardens to festivals, our list guarantees Fall Fun! Fall is my favorite time of the year! The weather is crisp, skies are ridiculously blue, and the leaves change into so many pretty colors. I LOVE FALL! And each year, once the pretty decorations are up and out of the attic (here’s my Fall Decor Inspiration), I make this declaration to my kids…. We are not spending anytime inside this Fall! Which means Day Trip Time! I look for a window in the family schedule where we’re not scurrying off to rowing practice or swamped with homework and sneak in a trip into the mountains to go apple picking, hay riding, cider drinking (make mine spiked please- like this cocktail) and hiking. So I’m sharing my TOP 3 Fall Day Trips From Atlanta here. There’s even a day trip you can share with your girlfriends! Some cherished girl time with friends going to a winery, shopping and having lunch. If you take one, share it on Instagram and tag @SumptuousLiving in your pic so I can share in your fun! Make sure to follow Sumptuous Living on Instagram. I’d love to see where you go. And if you have any tried and true fall day trips from Atlanta you love to take, post a comment below. We’ll update this list and share it again next year with your suggestions. 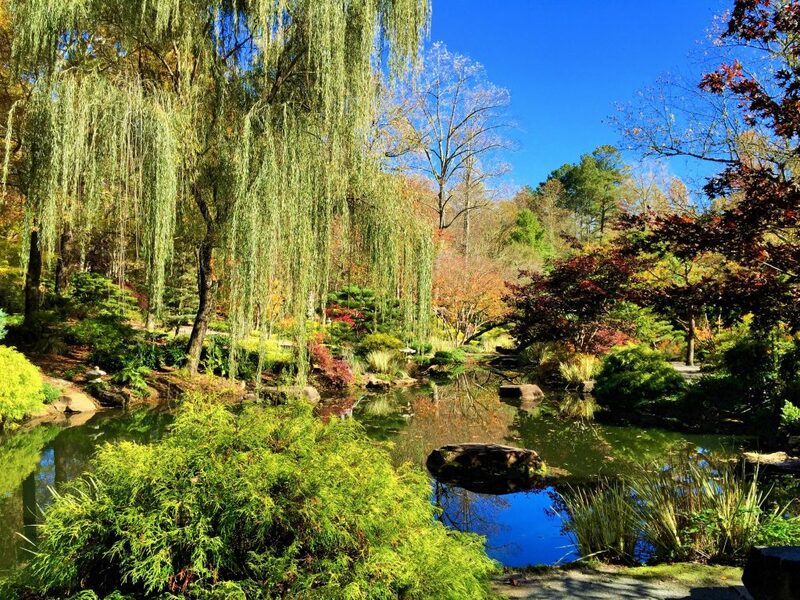 Gibbs Gardens is home to the most amazing World-Class Japanese Maple Garden in Atlanta. 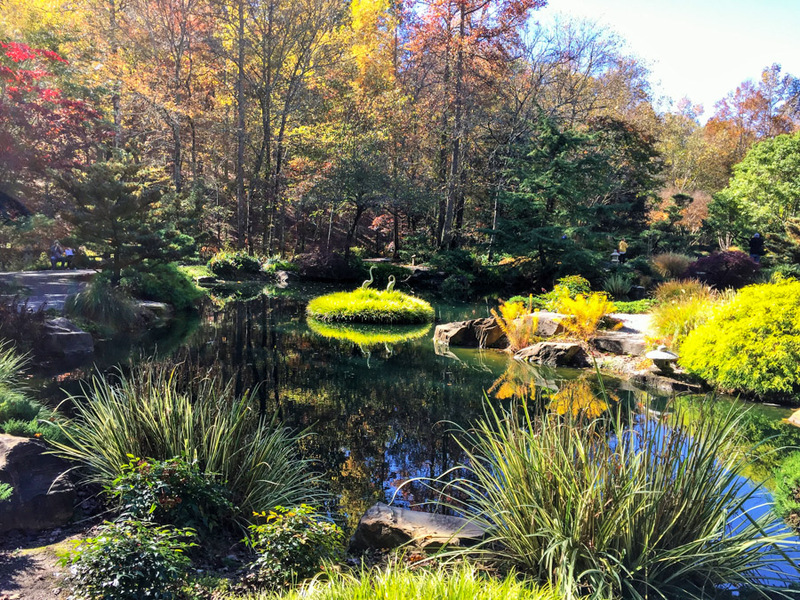 For our first Fall Trips From Atlanta Itinerary, grab a quick breakfast and head out early to get the most out of your fall day trip from Atlanta! 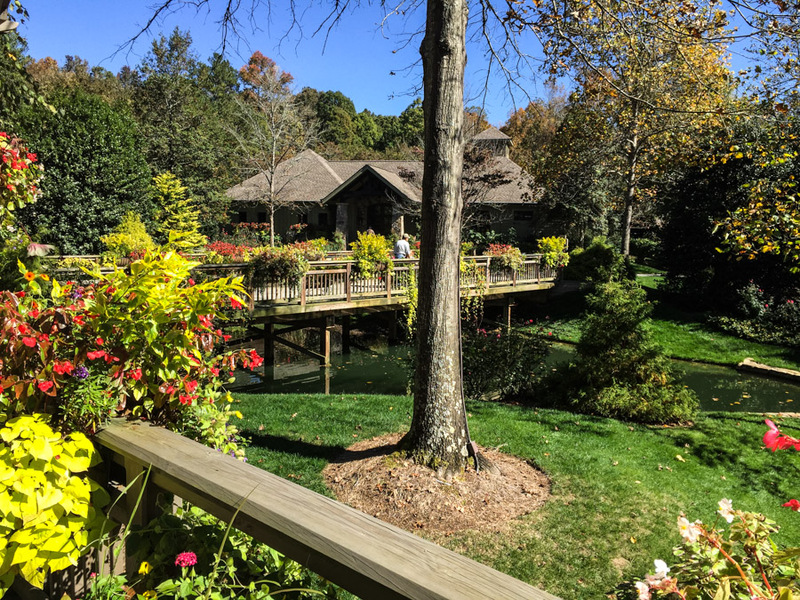 Set high up in the mountains and just a short drive from Atlanta, Gibbs Gardens boasts 220 acres, a Manor House, 24 ponds, 32 bridge crossings and 19 waterfalls! (See all the pics from our trip HERE). There are 3 Fall Maple Festivals: Oct 29-30, Nov 5-6, and Nov 12-13. If you’re hungry, grab lunch at the Gibbs Gardens Cafe. Try the chicken salad on homemade cranberry walnut bread with a huge chocolate chip cookie! Other Lunch Options in Historic Ball Ground: The Ball Ground Burger Bus Step into this funky burger joint set inside a vintage city bus! Les Bon Temps Louisiana Kitchen for yummy Cajun Food. Fainting Goat Vineyard & Winery: After a day strolling through the gardens, you deserve a delicious glass of wine! This family owned, boutique vineyard tucked in the Georgia mountains. Really wonderful cheese plates! If you’re planning a weekend trip, check the website first to make sure that they aren’t closed for a wedding. Get up early and pack a hearty breakfast for the car. Take the scenic route! Off 575N take the exit to Tate and drive past the marble mines towards Amicolola Falls. This is our family tradition fall day trip. We take it every year and love it! When our kids were young, we even managed to squeeze it all in before afternoon naptime! 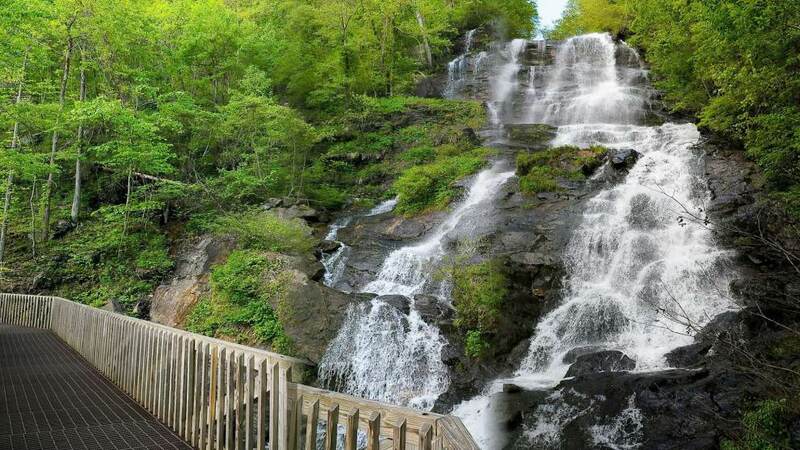 Amicalola Falls: You can hike as high as you like at this park and still get incredible views. Stop at the visitor’s center first for a potty break, pick up a trail map and to see some cool woodland animal displays. Have your camera ready for great pictures. Drive up to the Amicalola Lodge and sit on the rocking chair overlook. Often there is a park ranger animal encounter happening in the lodge which kids love! Burt’s Farm: Next head about 15 mins down the road to the best pumpkin patch in the North GA Mountains. Take the hayride first because the line gets crazy as the day goes on. If you need a snack, grab a slice of their yummy pumpkin cream cheese loaf. After the hayride, roam the pumpkin patch and take great pictures for your holiday cards. 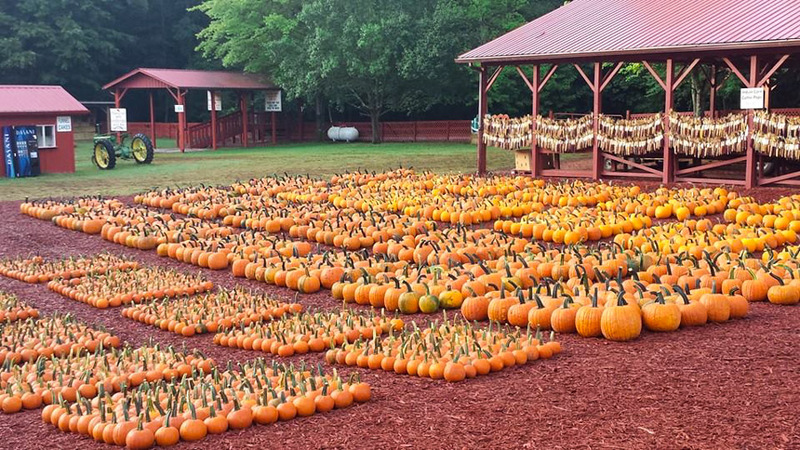 Reece Apple House: After the pumpkin patch, head to Ellijay for lunch. On your way, pull over at Reece Apple House for bags of apples and cider. Can’t decide which apple variety to stock up on? The apple house will gladly let you sample to find the right kind for you. Cajun Depot Grille: After a long day of soaking up the bounty of fall, we love stopping here for a late lunch. Our faves: Poboys, fried catfish, friend shrimp and blackened chicken caesar salads. Pack a Picnic! 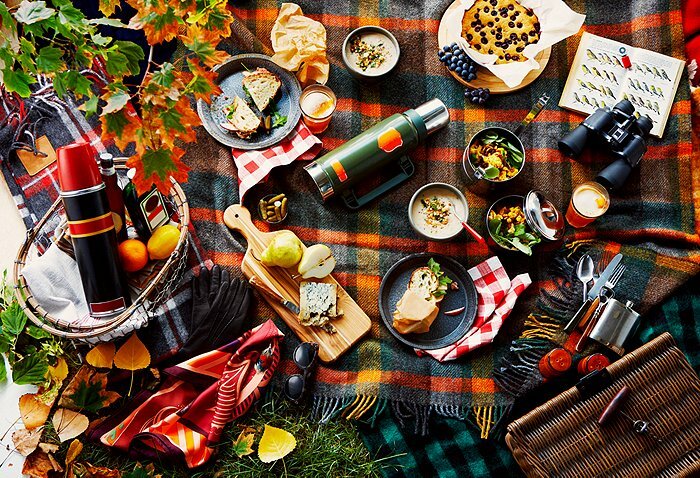 Grab your favorite picnic blanket and basket and treat yourself to something yummy! We love to pack this Fried Chicken Orzo Salad, some fruit and cheese to nibble on, and these amazing Gingerbread Lemon Creme Whoopie Pies. 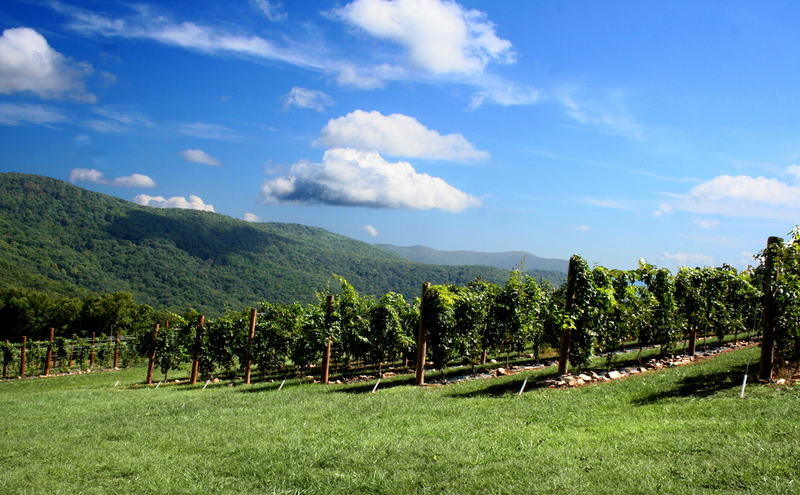 Pack some plastic wine glasses and drive to a local winery for a bottle or two to enjoy on the top of the mountain. Brasstown Bald: Start your day with a scenic drive up to Blairsville and enjoy a hike to the top of Georgia’s tallest peak! 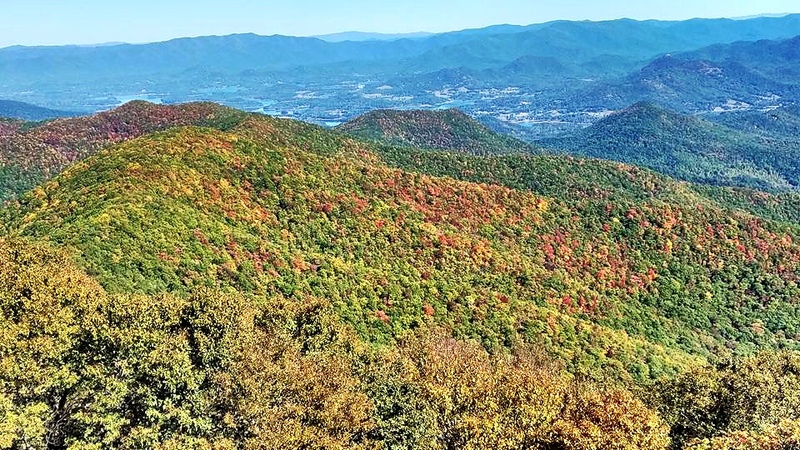 The views are incredible from up here (more than 4700 ft above sea level) and you are guaranteed to get the best view of the fall foliage from the top. Take the 1/2 mile hike to the top (there’s shuttles if you need them) and, on a clear day, the 360 degree view will allow you to see 4 states.